ATTENTION ALL MOTIV8D individuals!! 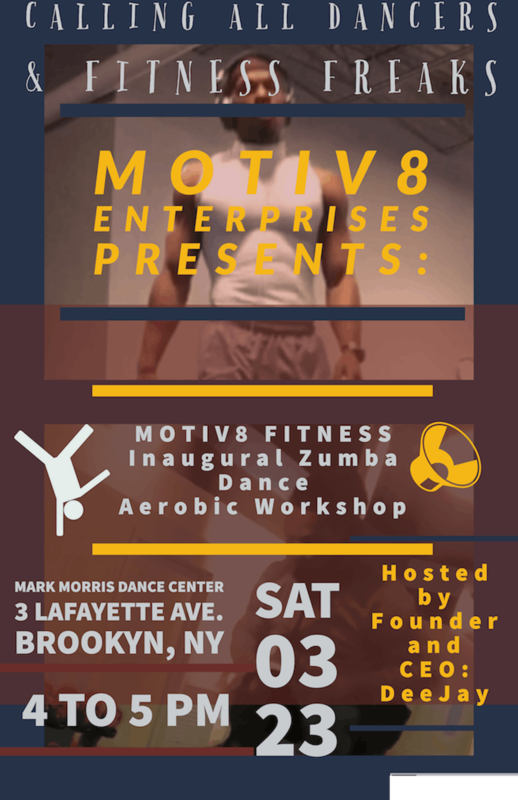 Come join DeeJay White and MOTIV8 Fitness in their first Dance Aerobic Workshop. This will be an intense 30 minutes of JOY! If you love to dance, sweat, and HAVE A GREAT TIME this is the place to be!! 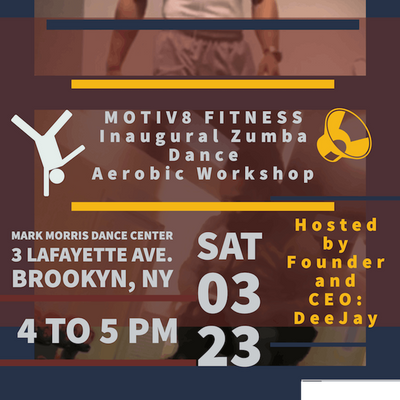 Dancers and Fitness participants of all levels are welcome! This will be DeeJay‘s first time conducting a class. BRING YOUR DANCING SHOES, YOUR SUPPORT and let’s make this a memorable experience. MOTIV8 MOTIV8 MOTIV8!!!!!! P.S. If you are interested in seeking a personal trainer or fitness instructor this will be the place to be ! !